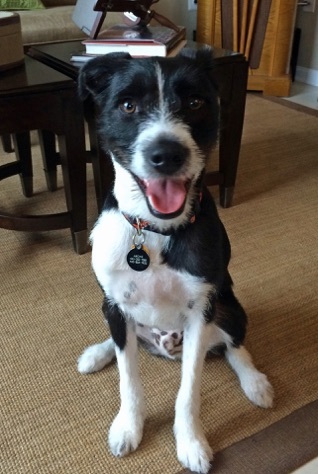 Archibald, or “Archie”, is a Border Jack rescue from South Carolina, born in his tuxedo on February 2013. 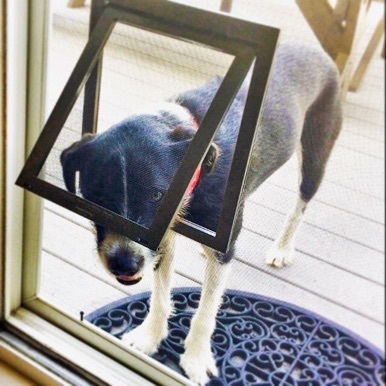 When he was first rescued, he was terrified of the dark, paper blowing in the wind, and all loud noises. 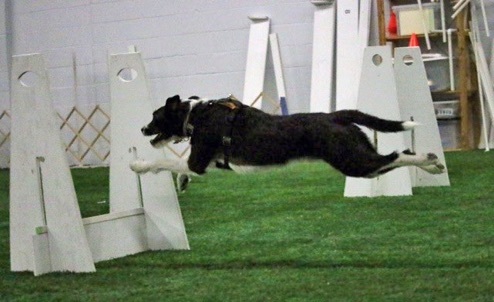 Although he is still afraid of thunder and fireworks, Archie has become more adventurous and daring, partly due to learning new tricks and sports, like Flyball. Archie gets very excited when we tell him it’s time for “FLYBALL”! At practice, it is hard for him to contain his excitement as he is being held at the starting line. At his first tournament as a spectator, Archie was entered into a race unexpectedly, and won an “Official Flyball Dog” ribbon. Archie loves squirrels, balls, the dog park, the “roof”, tearing the fuzz off a tennis ball, and digging into a stuffed toy to rip out the squeaker.